Season of Our Joy . . . a Hebrew Roots observance of Sukkot! Daily Praise through Song and Dance - every Main Session begins with meaningful songs and praise dance. Everyone is welcome to participate. There are numerous opportunities throughout the festival to learn Hebraic circle dance. Inspiring Messages - Special 'Main Session' messages from knowledgeable 'Messiah-centered' teachers help us to understand the meaning of the festival and enlighten us on various aspects of the Hebraic walk ... and Yes, you can ask questions! Deuteronomy Reading - Moses instructed the priests to read the Torah out loud every 7 years at the Feast. Though we do not read the entire Torah, we do read the entire book of Deuteronomy together and have a lively discussion after each portion. 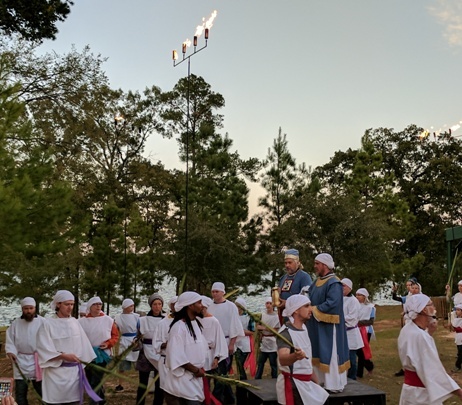 Water Pouring Ceremony - a highlight of each year's festival - we don our 'priestly garments' and take up our willow branches to imitate this enlightening 1st century Temple tradition that took place every day of the feast! Group Meals - Evening meals are enjoyed as a group. Whether it's a 'pot-luck' or an SOOJ sponsored event, there is a feast of food and fellowship every evening. Break-Out Sessions - 'Discovered something interesting in the scriptures and want to share it with others or a particular skill that might be of benefit to those 'in the walk'? Sign up for a Break Out session and be a blessing to the camp! Activities - Swimming, boating, fishing, ga-ga ball, 9-square, and many other activities are available at Camp Shiloh. Midnight Midrash - Want to just sit around and discuss the scriptures? Come to the evening 'Midnight Midrash'. Though they start in the evening, they are usually over by midnight! Community Sukkah - Bring your cheese, crackers, chips, wine, or favorite drink and join us most evenings at the 'Community Sukkah' located down by the lake. Enjoy the nightly campfire discussion, sing-a-long, Bible study, or whatever it turns out to be. Everyone's welcome! . . . and don't forget to bring your lawn chair. Tribal Auction - Would you pay $50 for a cake your wife made, or $25 for a t-shirt your granddaughter hand-painted with you in mind? Before answering that . . . what if it were for a good cause? 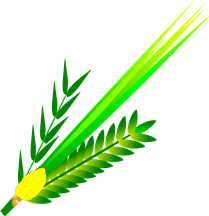 The SOOJ 'Tribal Auction' is a fun way help pay the costs of this year's SOOJ Sukkot. Build a Sukkah! 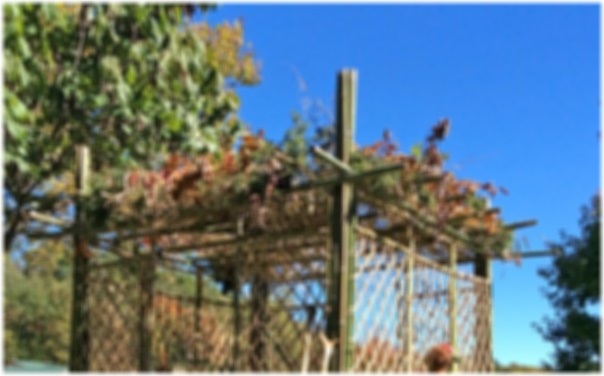 - You can build a sukkah practically anywhere on campus. Deck it out with fruit, vegetables, and willow branches and invite your new-found friends over for wine and cheese! Pitch In! - The best way to enjoy the Feast is to be a part of it. Participate in the 'Tribes' program and help share the workload so everyone can have an AWESOME feast! SOOJ Has a Dress Code! The Feast of Tabernacles represents the Kingdom of God. For 8 days, we celebrate a time when we will dwell continually in His presence. It is our desire that this week be a time of JOY for all in attendance. A Dress Code - along with a Code of Conduct - supports that desire by providing guidelines by which you can know our expectations, and thus avoid any misunderstandings or surprises. Go to our Dress / Conduct page for more info. Have an idea that might improve SOOJ?